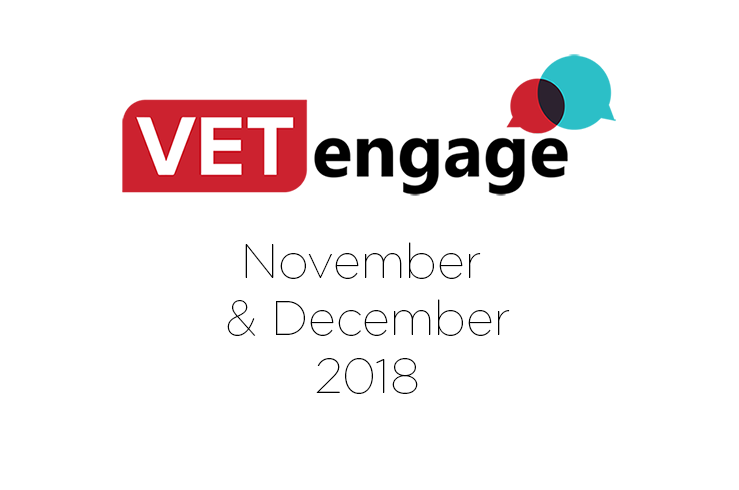 We’re delighted to inform you that our bi-annual VETengage event is back this Nov/Dec 2018. We’d love to invite our valued VETtrak clients, partners, and those considering Student Management solutions, to join us as we tour the nation. VETengage is our way of connecting with our clients – It’s a forum designed to bring our clients together to share knowledge, exchange ideas and for us to hear from you and share our plans for the future. We’ll discuss recent releases, our product roadmap, the industry, and the ways to help you improve efficiency within your RTO through the VETtrak ecosystem (including integration and services partners). If you missed out last time, view a round-up of our previous VETengage events. This event travels to all state capitals in the last week of November, and the first week of December with a light morning or afternoon tea at each location. At each location, the content will be tailored to the applicable needs and obligations of RTOs in that region. Where relevant, this may include local VETrak partners discussing their VETtrak-integrated capabilities. Please click the relevant event link above for your city to pre-register. Registered attendees will receive a more in-depth overview of the event content closer to the day. Hurry, places are limited. Register now.